I talked about a light that utilizes the power of gravity to light up a few days back. This flashlight is a bit similar in a way that, it also doesn’t need any batteries. But the underlying mechanism it uses, is completely different. The flashlight uses 4 Peltier tiles to convert the temperature difference (between body and room temperatures) into energy. One side of the tiles is heated by our body heat and the other side is at room temperature. This temperature difference creates electricity using the Thermoelectric effect. The tiles used for this light need a minimum of 5 degree difference of temperature to work. Peltier tiles utilize thermoelectric effect to convert temperature difference into electricity. When there is a enough temperature difference, charge carriers move from hot area to the colder area. This separation of charges builds up a potential difference across the height of the tile. This potential difference can be used up for various things. In this case, it was used to light up LEDs. Advantages: The amount of potential difference produced depends on the material. Peltier tiles are great because they are compact and they do not use any moving parts. Elimination of any moving parts eliminates wear and tear. They last long and do not need a lot of maintainance. However, their efficiency is not so great. So, they are used only where long life is essential. 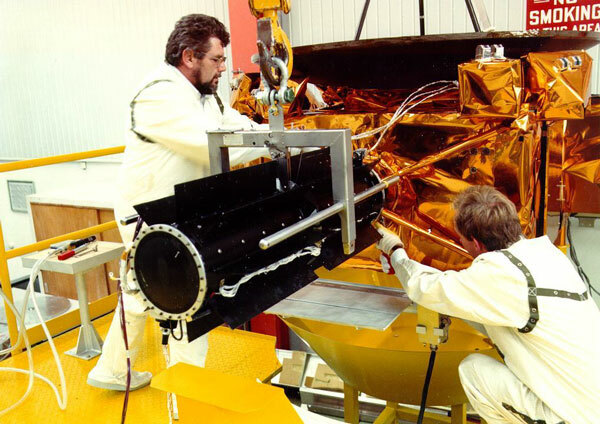 The Voyager space probe and other deep space probes, where long life is of prime importance, use Thermoelectric generators (another image). The heat there is produced by a radioactive isotope. Implanted pacemakers which require long life also use it as a source of energy. All of them work utilizing the same effect – thermoelectric effect. The eco-fan, a wood stove fan, also uses the same effect in a very creative way. Thermoelectric Generators have a very interesting history.